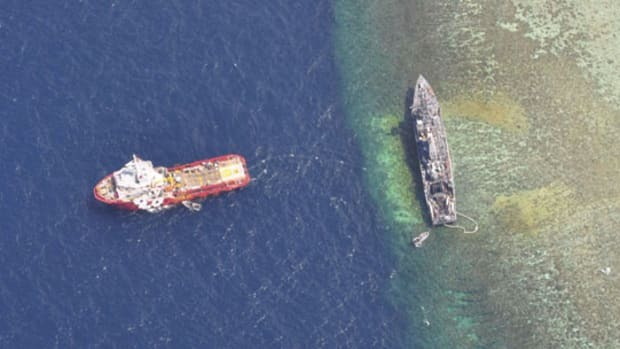 If Mae West were alive, her famously bawdy trademark line might go like this: "Hello there, sailor. Is that a WAAS GPS AIO PND loaded with a continent&apos;s worth of nautical, street, topo, and photo cartography and several hundred thousand POIs in your pocket...or are you just happy to see me?" To which a sorry geek like me might squeak back, "Pardon, Ms. West, no time for flirting; I&apos;ve got gadgets to fiddle with!" Indeed I do. 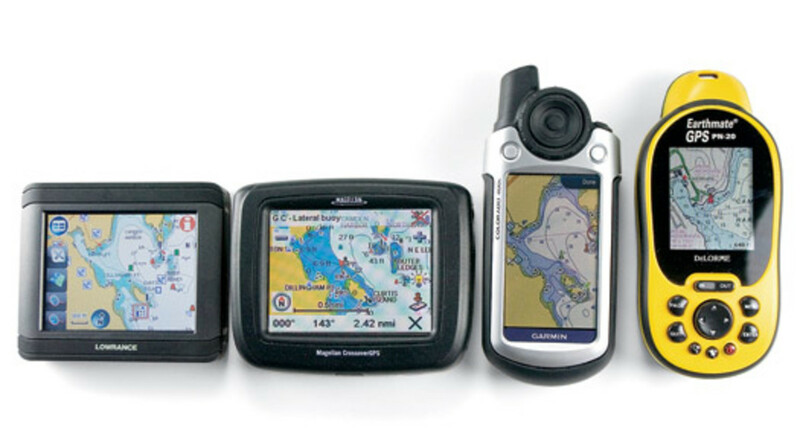 All these handhelds can plot GPS positions on marine charts, road maps, and much more. 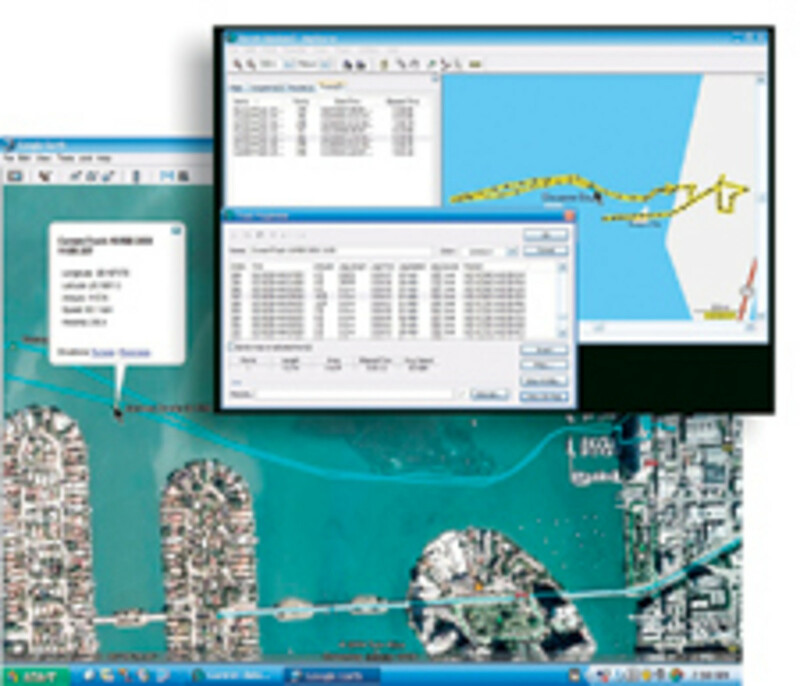 The concept is relatively new, and the acronyms aren&apos;t fully settled, but to decipher the imaginary quote, those are four all-in-one Personal Navigation Devices (PNDs) pictured, each brimming with maps and Points of Interest (POI) info. 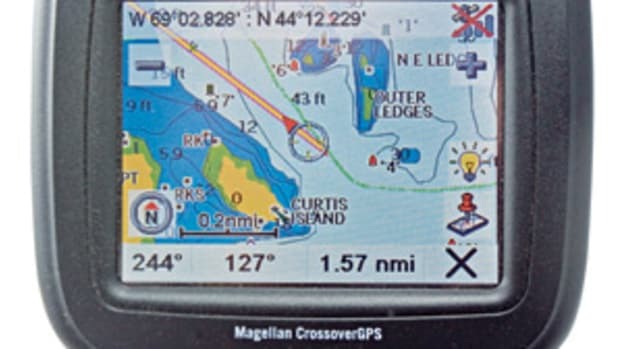 I&apos;ve spent hours with them, and, while none is near perfect, any one of these handhelds can calculate a turn-by-turn road trip to an unfamiliar marina, serve as a backup plotter underway, then show you how torturous an island hike might be and guide you along it. Testing all four was a real lesson in what&apos;s possible today but also suggested a dazzling near-term future. Let&apos;s start with the new Garmin Colorado 400, at this moment the king of AIO PNDs. This 5.5-inch-tall waterproof handheld contains not only a high-sensitivity, WAAS-corrected GPS but also an electronic compass, a barometric altimeter, and even a short-range wireless transceiver for sharing routes and custom POIs with fellow Colorado users. 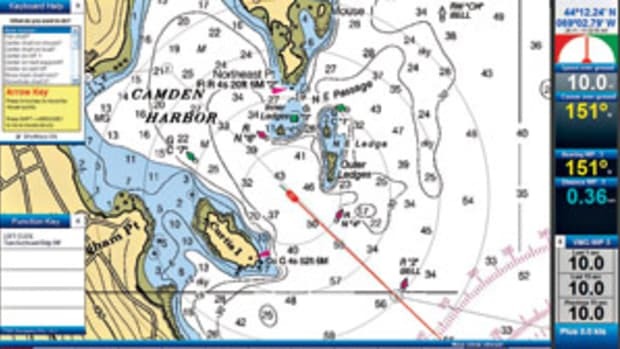 The tested $640 400c model comes loaded with all U.S. coastal BlueCharts, but some boaters might instead choose the topographic 400t or inland lakes 400i model (though no company covers all lakes, as discussed on page 54). 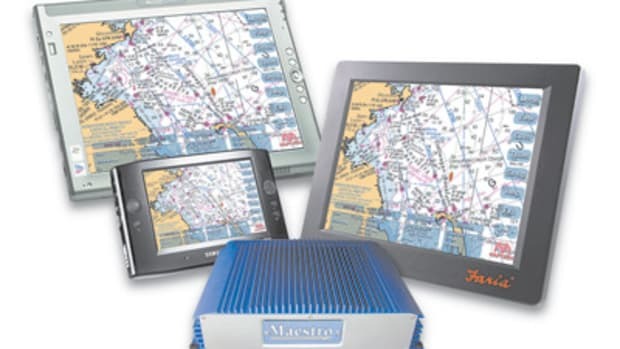 That strategy makes sense if you&apos;re already using BlueCharts CDs or cards on your boat, especially the new g2 Vision cards, which put good-looking 3-D relief charting and high-resolution photo maps on a Colorado. Regardless of the Colorado model, all the other mapping—many foreign regions included—is available via SD cards. 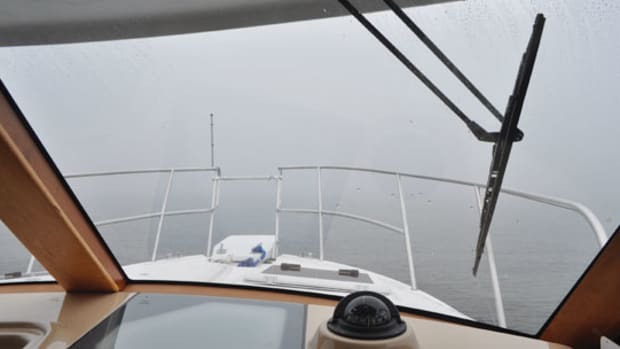 Which brings up the issue of how smoothly any AIO can change navigation modes, i.e., type of map and routing style to use, units of measurement, even the preferred screen setups. 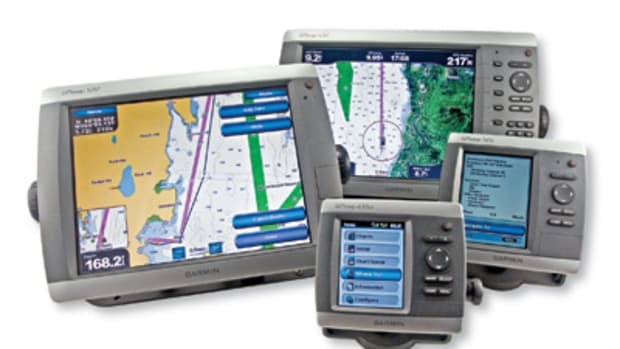 The new Garmin handheld interface addresses this nicely with customizable profiles like Marine, Hiking, and Automotive. These are chosen via a one-thumb combination knob/cursor/enter innovation called Rock &apos;n Roller, also useful for managing all other menu complexity that&apos;s unavoidable in a device that can do so much. In fact, another Colorado profile is Fitness, as it can be paired with heart-rate or bike-cadence sensors, and it will also play files created by a free PC application called WhereIGo. The first ones are mostly goofy games, but anyone can build, say, a Colorado-guided tour of their favorite Maine island anchorages with pictures and informative text, for sharing or sale. How about a searchable boat-show directory built into a PND? And remember that given a decent built-in compass like the Colorado&apos;s, it will know which way it&apos;s pointed even when still, and thus so could you. Even my wallet might open! Handhelds typically work well with PCs, but car-centric ones less so. But then there&apos;s brass tacks performance. The Colorado is slick and fast in most regards, but its crisp, three-inch-diagonal screen is too dim in some conditions. While fine in deep shade and direct sunlight, as the screen is transflective, the in-between is frustrating. Plus, darn it, it doesn&apos;t talk. Seriously, voice prompts are valuable for highway navigation and are readily available on a more car-centric AIO like the $299 Lowrance XOG. There&apos;s not room here for the many subtleties of turn-by-turn road navigation, but the XOG is quite good at it. It also has the brightest backlighting of all the PNDs I tried, though it is not transflective and hence a washout in direct sun. Additionally, XOG has some power-management issues, plus its fixed battery cannot be switched out on the trail like the Colorado&apos;s AA cells. And it&apos;s splash-proof, not waterproof. But that touch screen does work nicely with a mostly good interface design, and I was tickled by how well a Navionics Silver SD card displayed. Even the real-time tide and current icons work, and a tap gets full graphic predictions, just as most other chart details can be queried. The XOG purportedly reads any of Lowrance&apos;s many topo and lake cards but also exemplifies a new trend toward Web-served cartography. Online you can fairly easily purchase individual photo maps, topos, and charts that you can download to a single card and hence select from the touch screen. And while a XOG has a ways to go in terms of mode shifting—it doesn&apos;t know what a nautical mile is yet—it can play music files and display photos. SD memory cards continue to get tinier yet hold ever more map data. XOG&apos;s direct competitor, the $400 Magellan Crossover, shares many of its characteristics (as I detailed in this column last September), except that besides road maps it has all U.S. topos built in. It&apos;s also particularly good at mode switching. But charts, though also by Navionics, are pricier, the screen backlighting dimmer, and the interface crankier in my estimation. In the world of PNDs, a design even six months old can show its age. 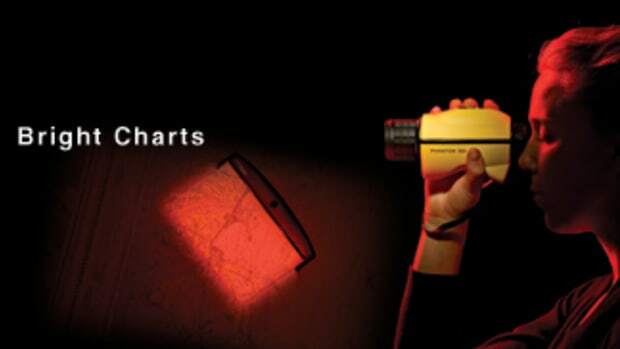 Neither was I smitten with the DeLorme PN-20, though its small screen handled variable light conditions best, and it&apos;s the first waterproof handheld ever that can display paper-like raster NOAA charts. They look great but pan and zoom at glacial speeds, and DeLorme&apos;s $10-per-chart download charge is absurd. On the other hand, this company has all sorts of land cartography that runs well on the PN-20 plus integrated PC programs that are more powerful, if geekier, than anyone else&apos;s.
Of course there&apos;s more to say about these pocket navigators, but you&apos;ll have to swing by my Panbo blog to indulge, because I want to close with a glimmer of the future. For one thing, consider the new Bushnell ONIX400 handheld, which may not do charts yet but does deliver XM Satellite Weather (and Radio). 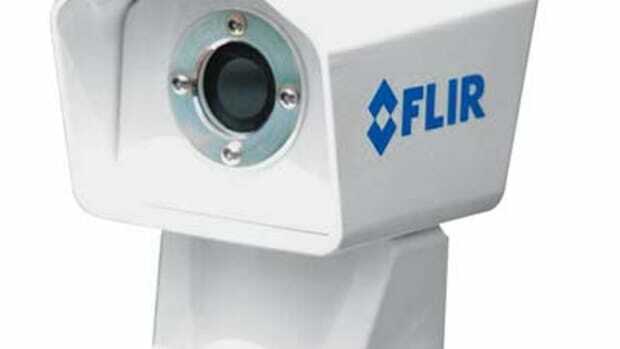 I hope to test it. But that highly desirable portable feature wouldn&apos;t matter as much if your AIO PND is also a cellphone with good Web abilities, like perhaps the NuviPhone already announced by Garmin or the various unannounced handsets that will run Google&apos;s new Android software. 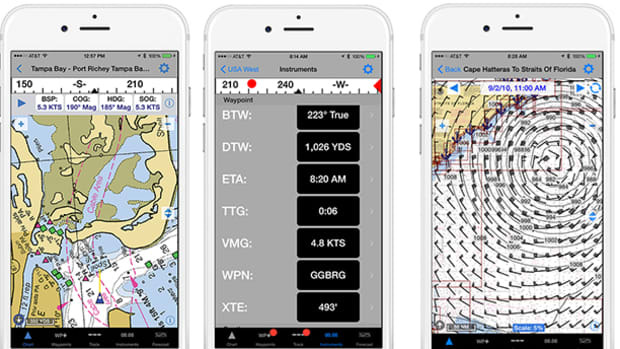 Check ActiveCaptain Mobile for what yacht-specific cell charting can do. And know that one of the umpteen new location-aware cell apps can tell you where the closest restroom is and let you rate it for your mates. A lot of smart developers are working on personal navigation and all it can be, even as the needed hardware gets simultaneously smaller and better. Sooner than we think there may even be a perfect pocket navigator that Mae West wouldn&apos;t even notice.